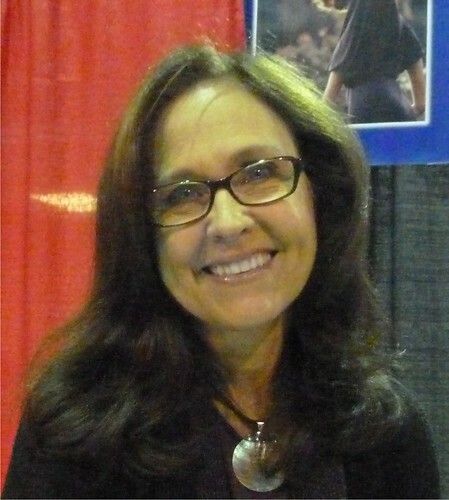 At Chicago Comic-Con this past August, we were fortunate enough to pin actress Erin Gray down for a quick interview on our way to the kids’ costume contest. The actress, who is best known for her roles in “Buck Rogers in the 25th Century” from 1979-1981 and the situation comedy “Silver Spoons” from 1982-1986, remains busy. Among other things, she runs the company Heroes for Hire, which books celebrities for personal appearances, teaches Tai Chi and speaks on domestic violence issues. Q. What do you get out of coming to conventions like this? Gray: What I get out of coming to events like this are two things. One, obviously it’s wonderful to hear people share their memories and their stories with me, whether it be, “My brother and I used to run home every day from school to watch it,” or “My mom and dad, my whole family, used to sit down and watch ‘Buck Rogers’ together. And that’s nice, just to be able to share those memories with people--but also I find I really love people. I find people fascinating. Like this woman right here, she’s from China. I wouldn’t normally get to meet her. I like to find out people’s stories and I also like to share stories with people. Q. Of the guests you see, are there more of the boys who crushed on you or girls who saw you as a role model? Gray: I get both. I get men--and women--who had their first crush on me, and I get the fact that I was a role model for women all the time. Some will say, “You’re the reason I joined the Air Force,” or “You’re the reason I became an astronaut”--and I’ve had women who say that. There’s one woman who is one of the top fighter pilots in Israel and one of the top marksmen in the world and I inspired her. We got to know each other, and then she found out I was a Tai Chi master and now she’s studying Tai Chi herself. So being able to inspire people, hat’s the best thing ever. Q. How do you see “Buck Rogers” differently now than when you were filming it? Gray: I must say that I haven’t seen the show in a while and I went to watch, and I didn’t realize how risqué we were at the time. I must have realized, but somehow that wasn’t the impression I was left with until I saw it 20 years later. Q. When was the first time you realized that your character, Wilma Deering, was having an effect on the audience of the show? Gray: You know, I really didn’t realize the effect “Buck Rogers” had on people until I came to one of these events. I was talked into coming to this whirl by Barbara Luna. She basically one day just called me up and said, “You’re gonna go here, you’re gonna show up, and afterwards you’re gonna call me back and you’re gonna say ‘Thank you.’” And you don’t argue with Barbara. And so I did, and I remember walking in and saying to the promoter, “Well gee, there’s a whole line around the building--what’s that for?” They went, “You!” and I went “What, really?” And at that time it had been 18 years or something since “Buck Rogers” and I said, “Oh, those people don’t remember me, that was 18 years ago.” He said, “What, are you crazy?” and that’s when I found out I had this huge following. I had no idea, so it was really a blessing to be able to come out. And now I have a company called Heroes for Hire and I represent a lot of celebrities who are here, and solve the need of promoters who needed to have an agent to help bring in headliners. Like I represent Burce Campbell or Felicia Day or the cast of “Battlestar Galactica,” Mary McDonnell and James Olmos. I have a website if you want to look at it, at www.heroesforhire.info. I also represent Stan Lee. And what’s interesting is that when I first met him he said, “What’s the name of your company?” and I went, “Heroes for Hire.” And he said, “Well, did you think of that all by yourself?” and I went, “Yes, I did,” and he said, “Really?” A week later I get a comic book from Stan Lee--on the cover, Heroes for Hire, signed by Stan Lee. I went, “Oh, the little devil.” I didn’t know anything about the fact that he had a comic book called Heroes for Hire so it was very cheeky of him not to say anything at that time. Q. 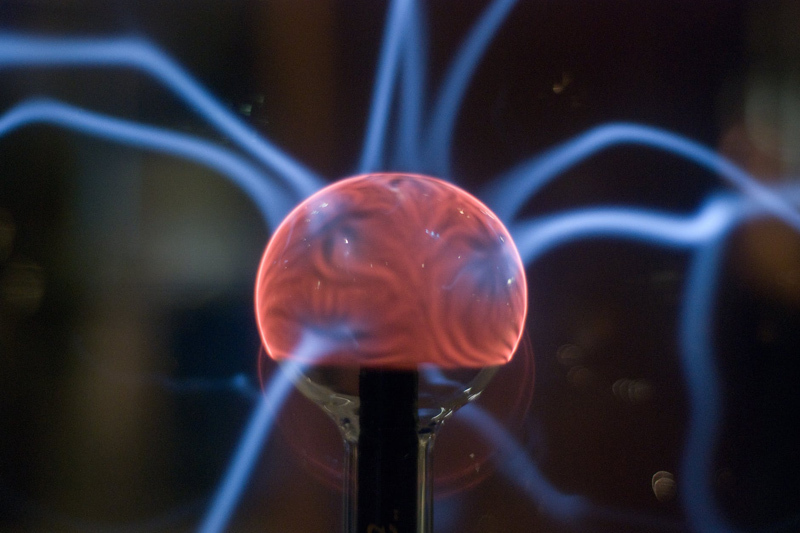 Have you had any interesting fan experiences you can share with us? Gray: What’s been the most uplifting for me is that I have a couple of dear, dear friends that I met here. One in particular was [because] a young teenage boy came to my table and we got to talking. He said, “Gee, you ought to meet my mom. You sound like you have the same interests as my mom,” and I said, “Well, bring her over.” And so he brings her over and we hit it off and she’s my dear friend, and whenever I’m anywhere near Kentucky she drives five hours or six hours to come up and see me. And those are blessings. You never know who you’re going to meet. You might meet your next best friend. This interview is being posted in two parts. The next installment covers Gray's experience on the scifi show "Starman," plus "Buck Rogers Begins" and what she thinks of today's TV landscape.